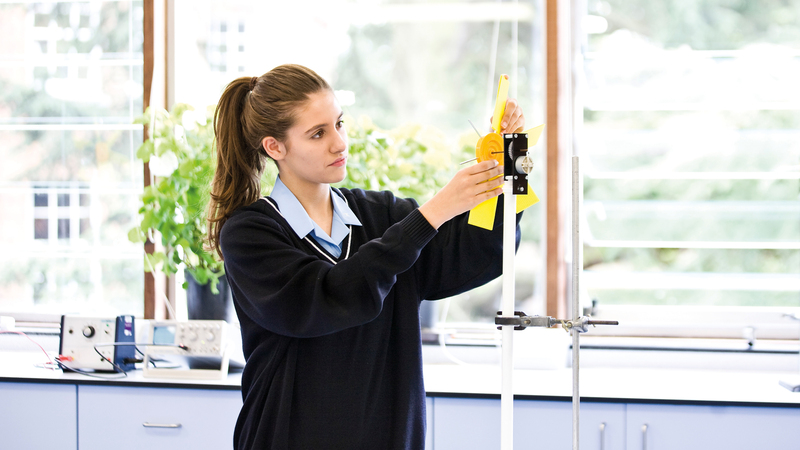 "From the first visit to St Martha's to the arrival of our new promotional material Kilvington put us all at ease and inspired total confidence and belief. The finished products are even better than I could have imagined." When I was appointed last year a new website was my marketing priority and we just quickly produced a new prospectus to tide us over. Now we need to clearly identify our positioning and messages and make sure that our brand identity truly reflect those and then develop a much more focused, proactive new prospectus. We’ll also need to re-skin the site with the new brand. 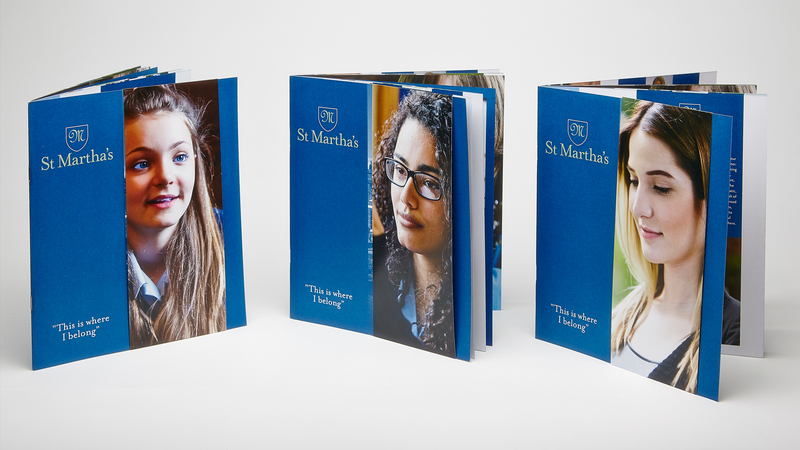 A new brand, a new school prospectus design and website re-skin for St Martha’s, a school with strong catholic values at its heart. A light touch was required for the new brand, retaining the original brand that incorporated an ‘M’ of the French Order. 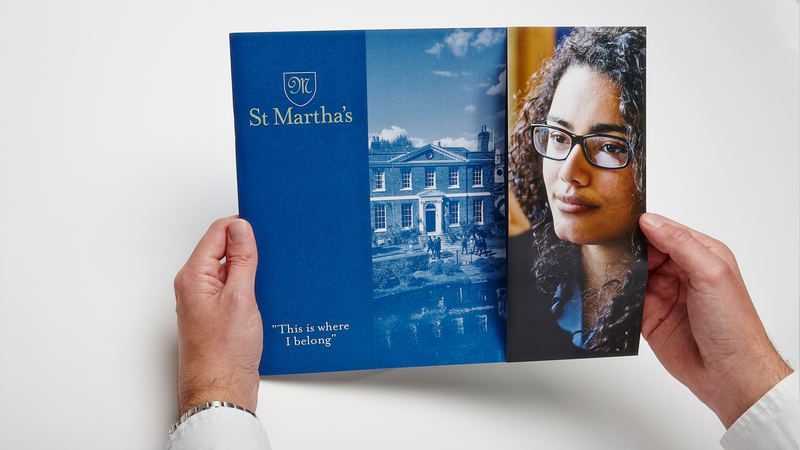 The ‘M’ was encapsulated within a shield making a stronger, more contemporary mark, establishing a strong relationship with St Martha’s logotype.